Go to the Settings screen by swiping down the top navigation bar and tapping the Settings button at the upper right corner of the screen, or by tapping the App button at the Home screen and tapping the Settings button. 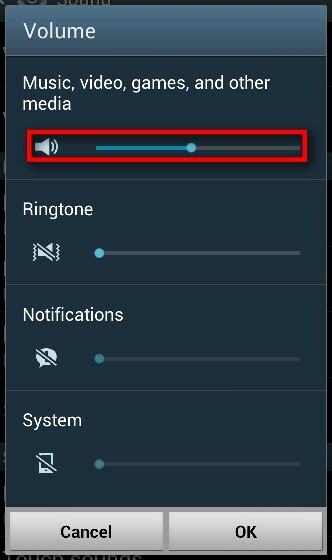 Move the slider under "Music, video, games, and other media" to adjust the volume level. Which Android version is currently installed in your device?